You are here: Home / Fashion and Beauty / Fashion at Sea. Cruise style on the Sea Princess. 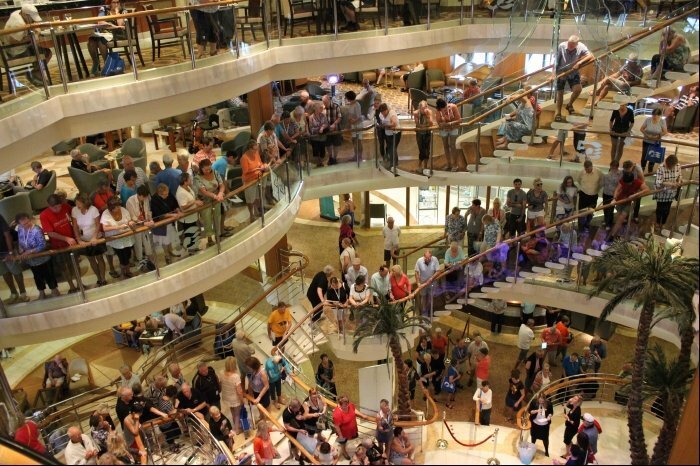 The Atrium filled up with people who began crowding the stairs and leaning expectantly over the bannisters as preparations were made for the Runway at Sea Fashion Show on the Sea Princess. It was a glitz and glamour affair with commentary, professional photographers and of course little old me finding out what the cruising mode d’apparel is really like, and more to the point where I’ve gone wrong with my packing. Lol! 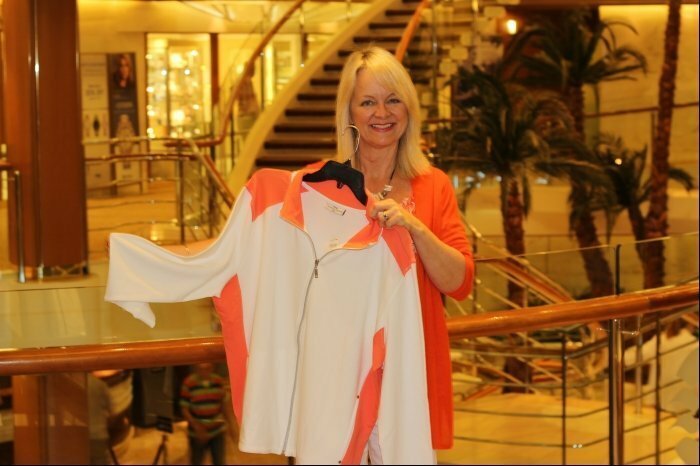 Do you have any fashion or style tips for cruise wear? I caught up with some of the models before the show and asked them a little bit about why they love cruising, how many cruises they’d been on and what cruising tips they had for us. Judy hails from Detroit and Miami, and has been on 15 Princess Cruises, she’s rocking Christine Alexander in the photo below, and she loves cruising. “Oh the shopping on board is great, the itineraries are wonderful, the food is fabulous and the entertainment is fantastic,” said Judy. Everyone needs a little black dress and Helen wore the most gorgeous, sparkly Joseph Ribkoff for the fashion show and looked absolutely stunning. Marianne and Wolfgang are originally from Germany but now they live near Brisbane. 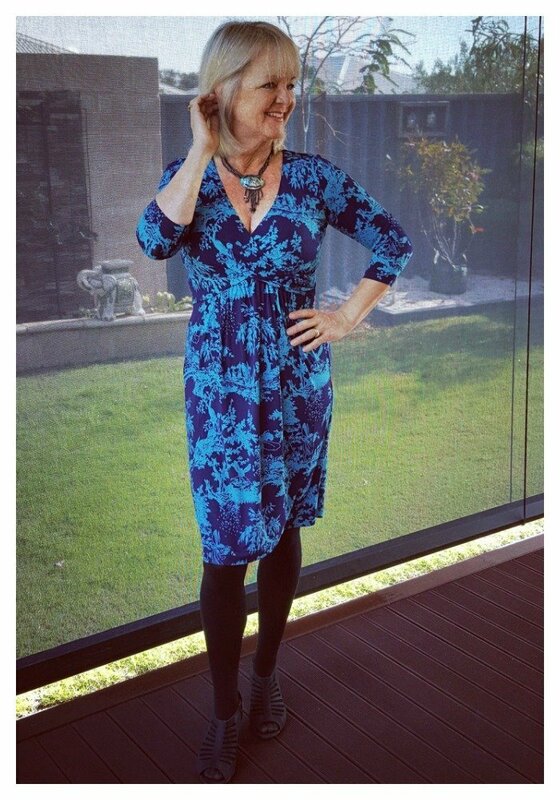 Marianne is looking gorgeous in a royal blue Joseph Ribkoff cocktail dress and Wolfgang modelled Tommy Hilfiger. Together they’ve been on 6 cruises, 4 with Princess Cruises. “The food on a Princess Cruise is brilliant, and we love the Atrium design in the centre of the ship. There’s such a variety of things to do, from briliant shows, great entertainment, and some really good enrichment lectures. Then there are all the different courses, such as art and crafts, or dance classes- we’ve been doing west coast swing, the jitterbug and we start the rumba today,” said Marianne. Marianne and Wolfgang are keen cyclists and they take folding bikes with them on cruises. If they don’t go on an organised shore excursion they take their bikes off the ship and go for a bike ride. “We walk around the promenade on Deck 7, go to the sauna, and we do lots of stairs. We generally book a cabin on Deck 5 which means we have 130 steps to get to the Horizon Court (buffet), and we might do the steps 5 or 6 times a day,” explained Wolfgang. Christine below is wearing a beautiful, sparkly, real diamond Effy necklace and a Joseph Ribkoff asymmetrical swing, Oriental jacket over detailed cut off pants. She looked amazing. “You’ve got to give it a try. I didn’t think I’d like cruising and I said NO NEVER whenever I was asked, but then I tried it and I LOVED it! 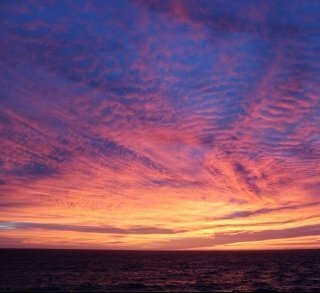 The beauty of cruising is that you wake up somewhere different every morning, whether it’s at sea or a new and exciting destination. 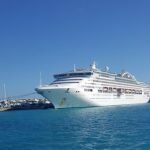 Everything is done for you on a cruise, your room is cleaned, your bed is made, there’s no shopping or cooking and at every new port of call there’s shopping and exploring to do,” explained Christine. Beautiful June, below, used to be a singer, model and beauty queen. She hails from Southampton in England but now calls New Zealand home. She looked so elegant in Joseph Ribkoff separates. June’s spent over 400 days cruising with Princess Cruises she told me. Susan, below is looking lovely in Joseph Ribcoff separates and is carrying a Fossil Handbag. She’s been on 18 cruises and this is her 4th half world cruise sailing to London. She calls the beautiful Blue Mountains near Sydney home. Scroll on down for some pics of the fashion show, and my ‘Finds of the Day’, as well as a short video below. 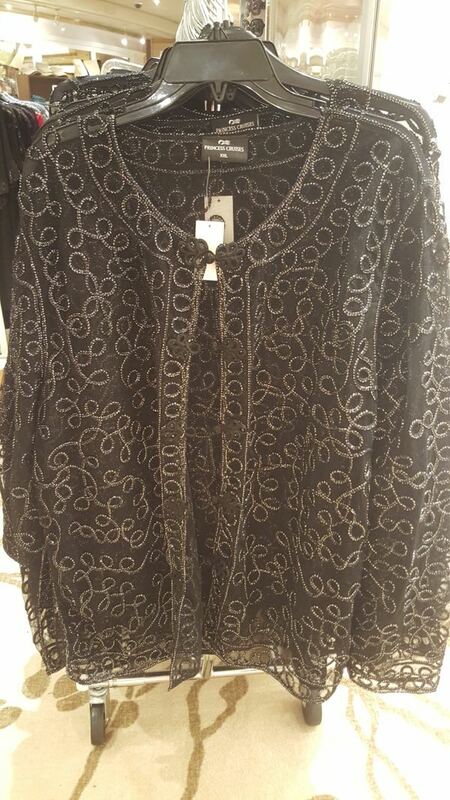 I love having a little look around the boutique, and today found this Black Sparkly Princess Cruises glamour shrug at $45 – so versatile for evening wear on board. 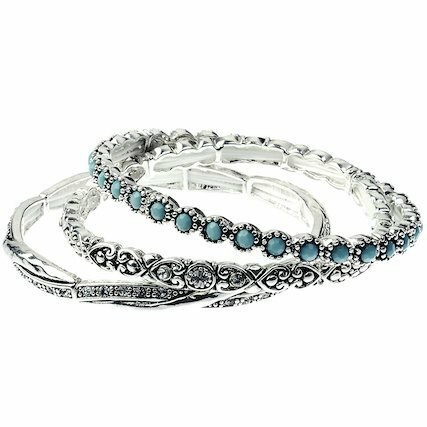 Wear it over black pants, or maybe over a ballgown … I’d wear it at home over a pair of jeans, and a black t-shirt. My second find of the day matched what I was wearing. A white and orange zip- up sweatshirt , a steal at $19.99! All featured outfits are from the ship’s boutique. I’m a guest of Princess Cruises, but all opinions are my own. Oh wow! How fun! A cruise and a fashion show…what could be better. I have never been on a cruise, but would love to! 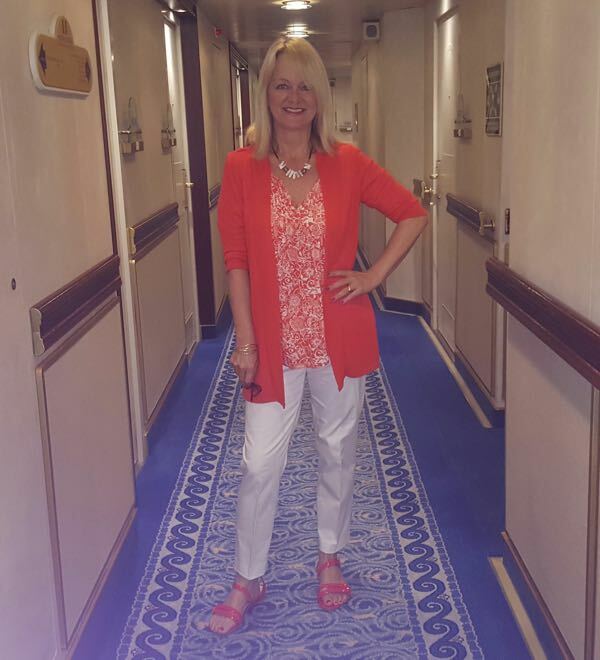 Cruising and fashion (and eating!) are my favourite habits Amy! What a fun post!! We’ve been on a couple of cruises and enjoy them immensely!! And we always take the stairs and walk as much as we can…it helps to off set the fabulous food!! But I’m the worst packer—I want to take everything….. I think I could give you a run for your money Jodie! I’m a terrible overpacker too! So, the models I take it are all passengers? Do they put up a sign asking for volunteers or is it if you’re a regular cruiser you get first invitation to partake? And I wonder – do they then get a special rate to buy the outfit they choose to model? Hi Linda, yes the models are all passengers – I think you get the chance to get involved if you’re a regular cruiser. Not so sure about discounts. Yes, that oriental jacket is getting some good press! Thank you Janet 🙂 And I also loved Marianne’s lace dress. It would suit you 🙂 Yes there are self-serve laundromats on board and like you we also wash smalls in the cabin bathroom! Oh my I just love that Oriental Jacket. I would have thought shopping on board would be expensive Jo, but looks like you have snapped up some great deals. And you are looking gorgeous as always. I don’t know if an 120 day cruise is for me (other than all the amazing destinations-ports), but the sea life is obviously agreeing with you. Have fun! Thanks Jill. Yes, I wouldn’t mind the Oriental Jacket in my wardrobe either! The clothes on board really aren’t expensive, I too was surprised. 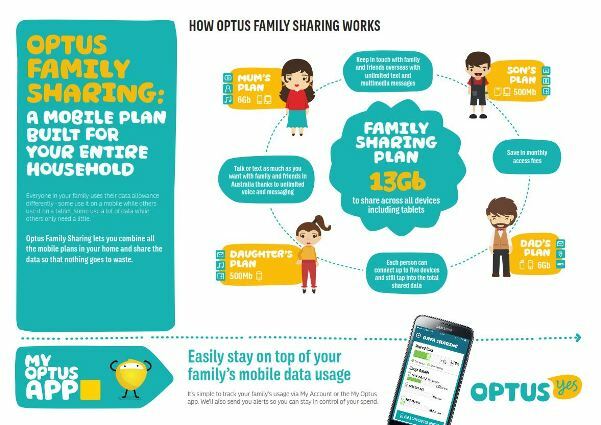 Dr Google, Optus Mobile, and are Landlines out of fashion?